Unveiled for the first time in Europe last year, the 2018 Volkswagen Tiguan is finally on its way to Canada. When you read this, it may already be in dealerships. 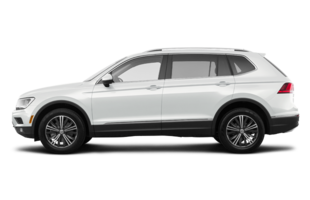 The 2018 Volkswagen Tiguan is the latest generation of the Tiguan range, a compact SUV that has always been able to stand out from its competition by offering more fun behind the wheel of its driver with better performance. This is still the case with the new generation, but it also improves several elements of the old Tiguan that were less appreciated by some owners. No doubt, the new Tiguan is a much more complete model than the one it replaces. Here are three things to know about the 2018 Volkswagen Tiguan. Indeed, the 2018 Volkswagen Tiguan will be one of the most spacious compact SUVs in its segment. The new Tiguan is 272 mm longer, which means more space in the rear seats and in the trunk. How much more spacious is the new Tiguan? Well, it is now available with a third row of seats and can accommodate up to 7 passengers. Only this extended-wheelbase version will come to Canada. Its engine will be more efficient while being more economical. The new Volkswagen Tiguan will be powered by a 2.0-liter four-cylinder engine developing 184 horsepower and 221 pound-feet of torque. Front-wheel drive is standard, while 4Motion all-wheel drive is available as an option. An eight-speed automatic sends the power to the wheels. This engine provides the Tiguan with a sought-after combination of power and efficiency, and should make the German compact SUV nimble and quick on its wheels while also making sure that it is one of the most efficient in its segment when it comes to fuel economy. It will offer much more equipment. 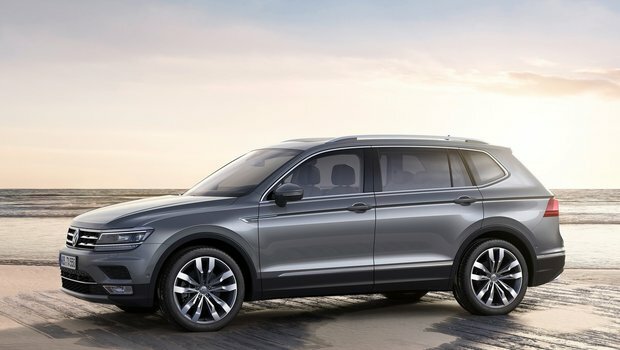 The Tiguan boasts a fully redesigned, state-of-the-art cockpit that combines a host of new features, including Android Auto and Apple CarPlay connectivity technologies. There are also many driving assistance technologies such as intelligent cruise control, blind spot monitoring, automatic braking with pedestrian detection, and lane departure warning. 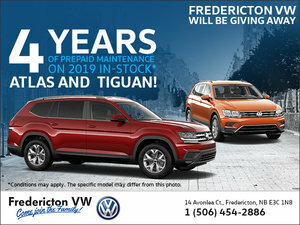 Come see the all-new 2018 Volkswagen Tiguan today at Fredericton Volkswagen!